Subtract the middle two: Jennifer Lopez also leaving Idol. On the (high) heels of Steven Tyler's official departure announcement Thursday, Jennifer Lopez said Friday that she too is ending her days as an American Idol judge. Her venue was the Los Angeles radio show of Idol host Ryan Seacrest. "The time has come," she told him. "It just started feeling like it's a lot. Something had to give." Tyler said he was leaving to be a full-time member of Aerosmith. Lopez cited similar career reasons after Seacrest told her, "You're breaking up with me." "I honestly feel the time has come to get back to do what I do," she said. "I have put it on hold because I love Idol so much. You have a lot of other responsibilities and other things you want to do." "We had an amazing run," she added. Fox has yet to issue an official release on Lopez's departure. She joined the show in 2011 in tandem with Tyler after alpha male Simon Cowell exited Idol to begin ramping up his own singing competition, The X Factor. That show returns for Season 2 in September with a pair of new judges, Britney Spears and Demi Lovato, in place of the fired former Idol judge Paula Abdul and Nicole Scherzinger. 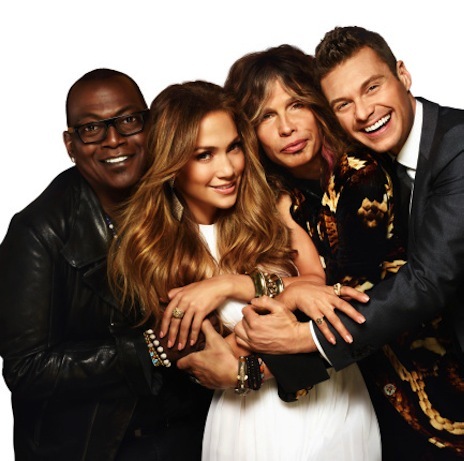 The ever-grinding rumor mill says that Idol's only remaining charter judge, Randy Jackson, also might be dispatched to a "mentor" role. If so, that's three seats to fill all at once, which is undeniably perilous for a show that had the same three judges in place for its first eight juggernaut seasons. Season 12, which as usual will launch in January, will retain Seacrest as host amid a sea of rumored judge possibilities. The names in the hopper include Mariah Carey, Katy Perry, Miley Cyrus, Adam Lambert, will.i.am, Fergie, Charlie Sheen and even Jerry Lewis (surely a joke). Both Tyler and Lopez used Idol to rejuvenate both their singing careers and celebrity clout. But once you're back on top, being a judge can be both extraneous and too time-consuming.